During the first eighteen years of its existence (1964–1982), the Swiss Archaeological Mission, subsequently known as the Swiss School of Archaeology in Greece, relied on the Swiss National Science Foundation (SNF) as the sole source of financial support for its activities. Created in 1983, the “Foundation of the Swiss School of Archaeology in Greece” assumed responsibility for high-level administration and for seeking indispensable financial income from various donors: patrons, foundations, industries and companies, Swiss universities, and the Swiss Academy of Human and Social Sciences (SAGW). The University of Lausanne (UNIL), which has served as the Fondation’s headquarters in Switzerland, plays a crucial role in its organization. 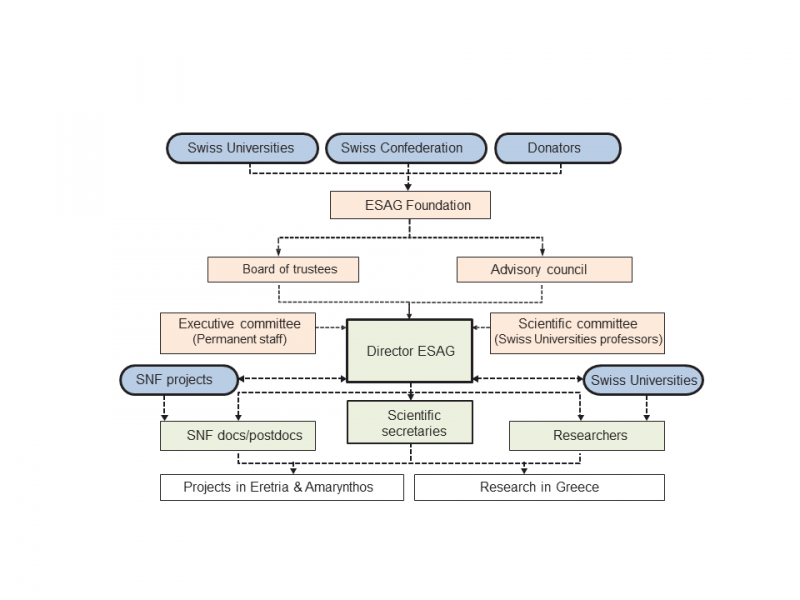 The chief supporters of the School are, in addition to the SNF, the State Secretariat for Education, Research and Innovation (SERI), and the following foundations: Stavros S. Niarchos Foundation, Sandoz Family Foundation, Isaac Bernheim-Dreyfus Foundation, Jacobs Foundation, Latsis Foundation, Théodore Lagonico Foundation, Afenduli Foundation as well as Swiss firms operating in Greece, such as Nestlé, Novartis, Roche, and Triumph International. Among the private patrons, the School owes a special debt of gratitude to Mr. and Mrs. Hellmut and Heidi Baumann.